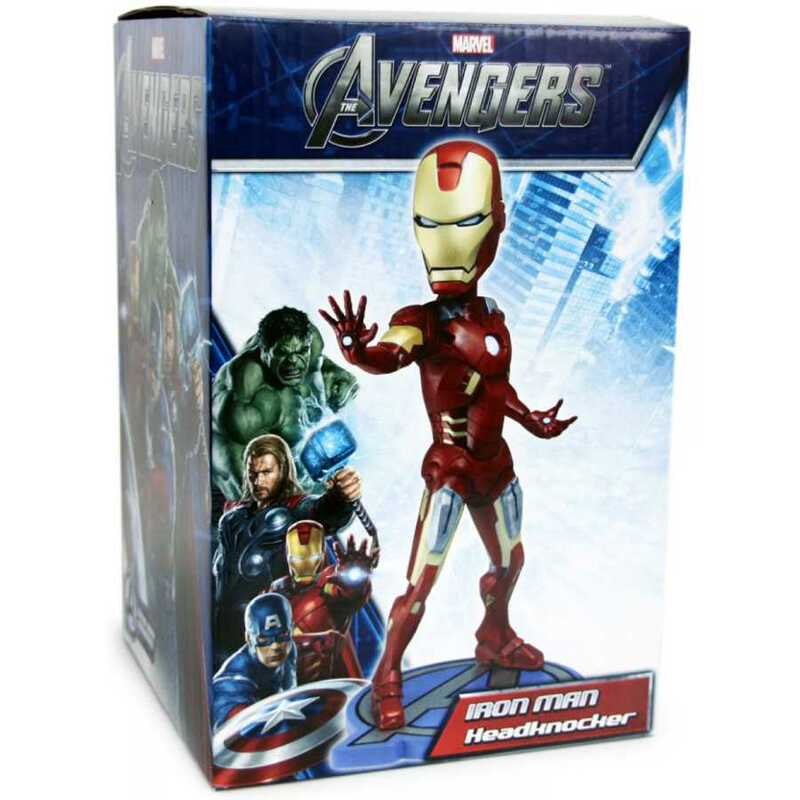 NECA's popular range of Head Knockers brings you Iron Man from the blockbuster film The Avengers and he stands at nearly 8" in height and is great for any fan. 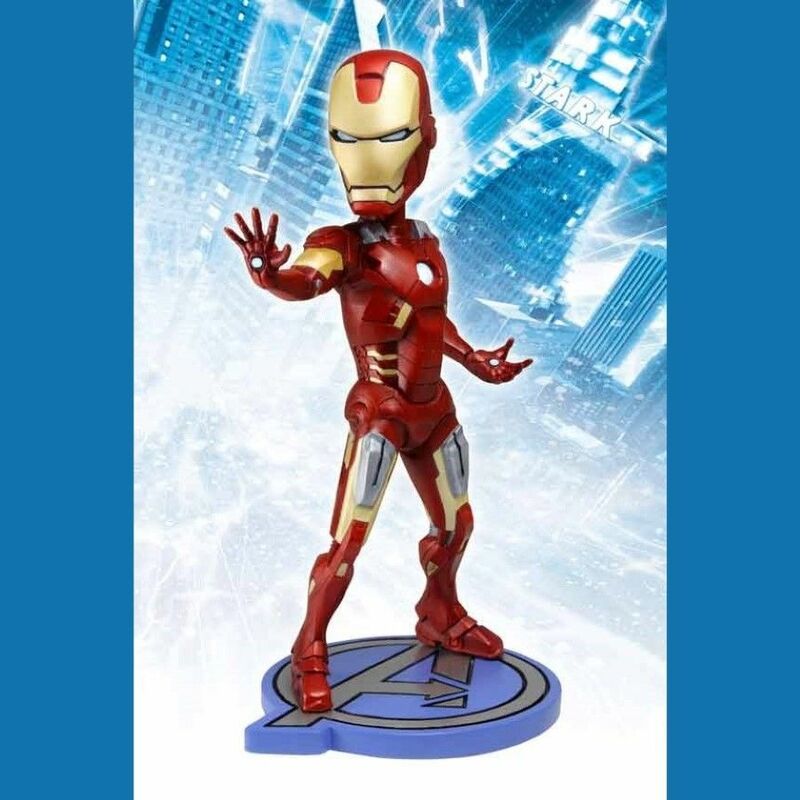 Tony Stark's alter ego character has an Avengers symbol base, bobbing head, has been cast in resin and hand painted for incredible detail to give you the accuracy of the movie character. There are 4 Avengers HeadKnockers to collect and each one has a consistent scale so they look great being displayed together.